This spacious, stylish apartment is located in the cool neighborhood of Poble Sec at the foot of wonderful Montjuïc mountain. It is well decorated with a chic finish and ensures a truly comfortable stay in Barcelona. Bright and airy, its open plan design is modern and inviting and offers a real touch of luxury. 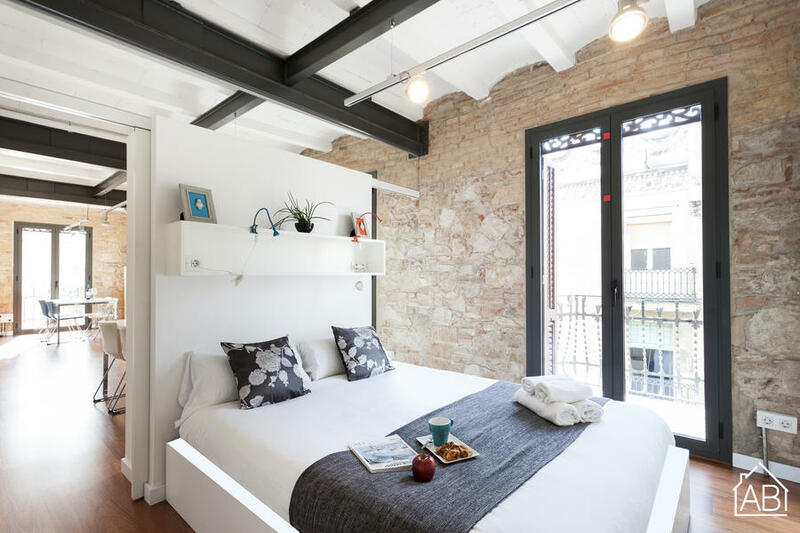 The apartment sleeps 4 people and would be the perfect place for a getaway. There is a fully equipped kitchen as well as a clean, modern bathroom plus an additional W.C. Balconies provide plenty of light and offer great views over the city. The apartment comes with TV and Internet as well as heating and air conditioning. Bed linen and towels are also provided.